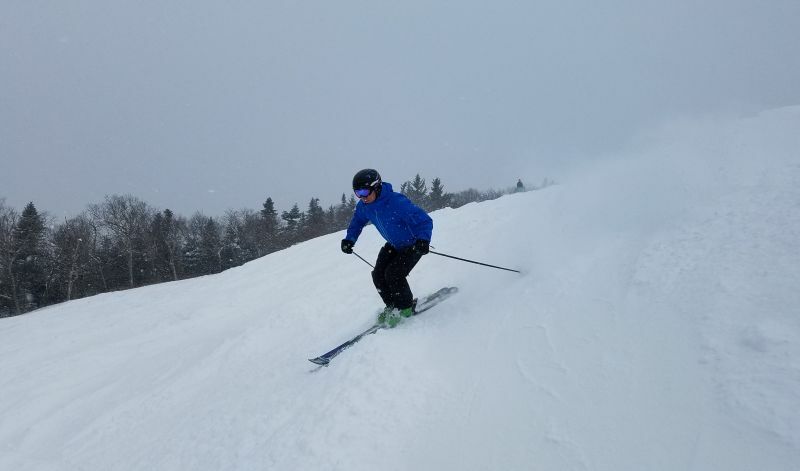 A healthy dose of natural snow helped to make Opening Day one for the record books as three Vermont Resorts kicked off the 2018-19 season on Friday, Nov. 16. Sugarbush Resort celebrated its Season Pass Holder Appreciation Day with five inches of fresh snow in the past 24 hours. More than 450 Pass Holders showed up to make some turns this morning. Open runs at the beginning of the day included Snowball and Spring Fling with access from the Valley House Quad. 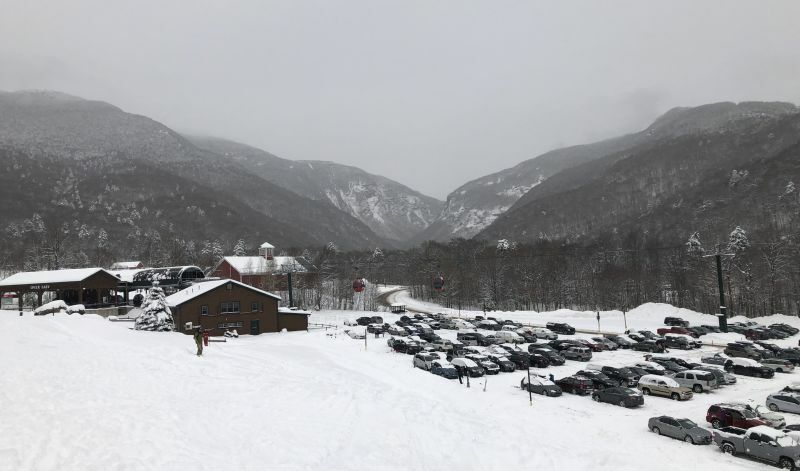 As the snow continued to fall, Sugarbush dropped ropes on Steins, The Mall, Twist, Lower Twist, and Moonshine, several of which featured entirely natural snow from top-to-bottom. 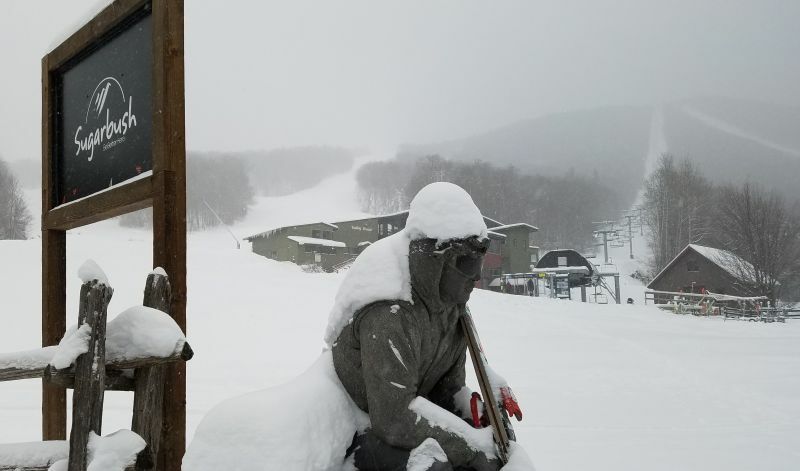 This early, this amount of snow is "unbelievable," said John Egan, ski film legend and Chief Recreational Officer at Sugarbush. "I think it bodes well for a great season. This is the 60th year of operation and mother nature is really proud of us." Sugarbush is officially open for regular season hours starting Nov. 17. Stowe Mountain Resort also opened to the public on Friday after a dumping of 13 inches in the previous 48 hours and 3 more inches overnight. To start the day, Sunrise, Lord, Upper T-Line, and Upper Toll Road were open. A total of 13 trails were open heading into the weekend with access from the Forerunner Quad. The parking lot filled quickly as snow continued to fall over Mount Mansfield. "This is the biggest opening day I've ever seen," said Jeff Wise, Marketing and Communications Director at Stowe. 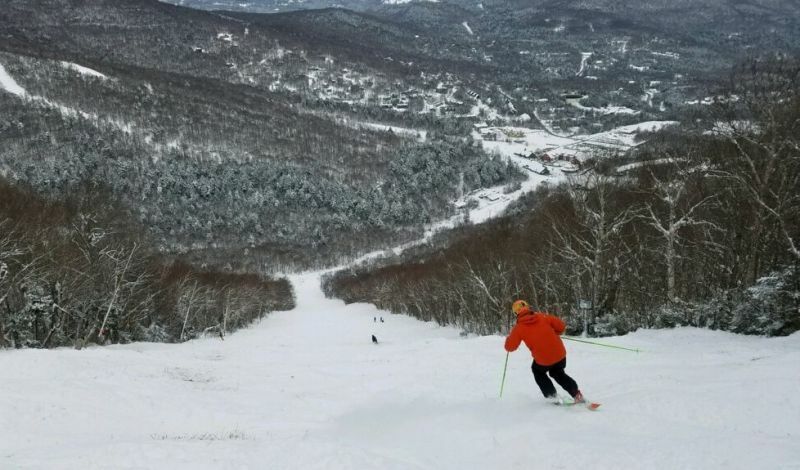 Stowe plans to open more terrain for the weekend as the resort resumes regular season hours. Okemo Mountain Resort had an amazing opening day as this is the first time in five years that it has had more than one top-to-bottom run. Snowmakers worked hard to lay down enough snow for two runs off the summit, 10 total trail openings and three lifts to spin. With an additional 4-6 inches of natural snow overnight, Okemo was ready to go. "This was one of the best openings we've ever had as far as terrain," said Bonnie MacPherson, Director of Public Relations at Okemo. "Snow guns are blasting on another 10 trails tonight and there will be more coming this weekend." Okemo will continue the 2018-19 season with more trail openings and regular operating hours. Sugarbush, Stowe and Okemo join Killington and Mount Snow which opened in October. More resorts are set to join the ranks in the coming week, as Stratton (Nov. 21), Jay Peak, Smugglers' Notch, and Magic Mountain (Nov. 23) all have scheduled openings around Thanksgiving. For more information about all Vermont Ski Areas visit https://skivermont.com/conditions.